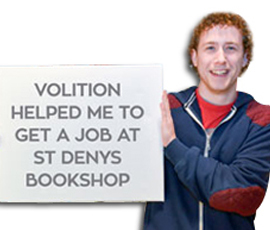 In April 2012, Volition the cathedral volunteer programme was launched by Manchester Cathedral. Starting with just 15 volunteers the programme quickly gained momentum and within our first two years over 100 people had gained a job with our support. Now we have twice as many volunteers each year than when we started and more than 700 volunteers have taken part. Volunteers from earlier groups are still around to support and mentor new groups coming in, inspiring them to grasp the opportunity with both hands and achieve their full potential. Volunteering – There’s a wide variety of roles available and volunteers are matched to a role to give them the skills and experience needed to secure employment. 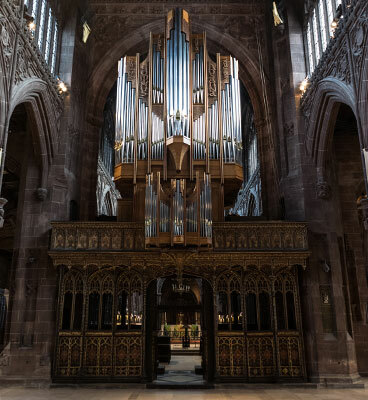 Manchester can offer roles in;–Welcoming, Administration, Caretaking, Retail, Barista, Kitchen Porter, Bee Keeping, Education, Gardening, Cooking and Conferencing. Employers – We knew that bringing employers on board would be vital to the success of the programme. Our main ask was to guarantee job interviews to our volunteers but now they do so much more as well including; delivering training sessions, donating interview clothes, allowing access to training room, careers talks and offering legal advice. Our partnership has grown massively in membership winning the Business in the Community Award with Manchester City Council. Extra special thanks go to The Manchester Arndale, Proper Tea, Kelly Services, the Renaissance Hotel, DWF Solicitors and Virgin Money, NCP, CityCo, Harvey Nichols, McDonald Hotel most of these have been with us from the start.